If you’ve been following our blog within the past couple of weeks, you’ve probably seen the many posts we’ve done recently on HR 2014. And even if you haven’t been following our blog, if you’re involved in the SAP HCM space, you’re probably very familiar with the many HR and SAP HCM conferences that take place throughout the year. Business conferences are a great time to learn and to network–but there is certainly a right and a wrong way to go about attending them. Making the most of a business conference takes preparation, careful planning, and a bit of business know-how, but with proper preparation beforehand, nearly anybody can walk away from a business conference with new knowledge, some new connections, and even new insights into the business world. Learn the schedule ahead of time: Most business conferences have an incredible amount of events and speakers–HR 2014 just two weeks ago had 120 sessions and almost 100 speakers. By learning the schedule ahead of time–and not just scrambling to go to events throughout the conference–you can make the most of your time and capitalize on the opportunity to see a handful of great speakers all in one place. Look at the conference as a learning experience–not just a networking opportunity: All too often, business people see business conferences as an opportunity for selling, leaving them to forget about the learning that can occur (Ivan Misner of BNI recalled a time where he asked the audience who was hoping to sell–all 900 raised their hand–and who was going to buy–none raised their hand). While they are great networking opportunities, conferences are also absolutely great for learning, and you’re doing yourself a disservice if you don’t view conferences as a learning experience as much as you do an opportunity to meet new people. Distill every talk down to one key takeaway: Scott Belsky of Behance had a great tip about conferences: distill every talk down to one key takeaway. After each speaker at a conference, Belsky recommends asking yourself what struck you about that speaker–what did you learn, and what could you potentially even apply to your own work? By writing down these key takeaways, you make it much easier for yourself to get tangible value from the conference, and these takeaways are also great ways to keep everything organized in your head weeks and months after the conference. Remember to always follow up: Finally, if you are using a business conference as a networking opportunity–as we certainly think you should–remember to follow up as soon as possible. If you put following up on the backburner and say that you’ll just “do it later,” chances are, you’ll lose track and potentially lose a connection. Don’t let the new people you meet slip through the cracks–follow up with them a day or two after the conference. Although these tips aren’t the be-all-end-all for business conference planning and attendance, they’re certainly good things to keep in mind when attending any business conference, whether in the world of SAP HCM or beyond. Keeping these tips in mind can help you get the most out of great conferences like HR 2014–which our founder and Managing Partner Mike Timm just attended–and lead you on the path to success. 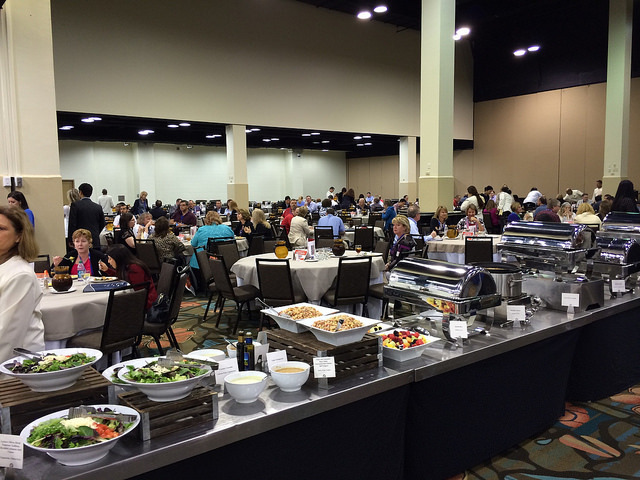 Do you have any favorite tips or recommendations for making the most of a business conference? Let us know on Twitter or LinkedIn–we’d love to hear your thoughts!